Kieran honed his craft making music videos for Underworld and Vashti Bunyan and working at BBC Wales, where he met Niall Griffiths, whose novel of the same name Kieran adapted for his debut feature of two young people engaged in a passionate, physical and psychological relationship. Kieran is a skilled storyteller, handling his characters with sensitivity and maturity. His previous work on documentaries has shown his strong sense of place and ability to bring cities to life. Kelly + Victor is no different, showing us a Liverpool we seldom see onscreen, playing host to the film’s two fevered lovers. 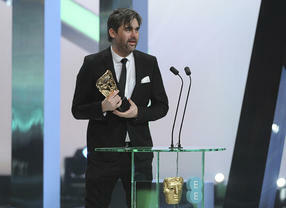 Paul Wright was nominated for and won a BAFTA and Scottish BAFTA respectively for his first short film, Hikikomori, in 2007. Paul’s subsequent three shorts went on to achieve outstanding success on the festival circuit, with his most recent short, Until The River Runs Red, being awarded a BAFTA in 2011. 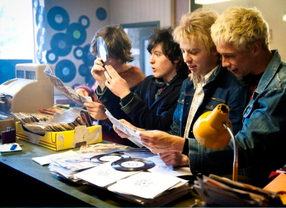 Over a relatively short period, Paul has established himself as one of Britain’s most exciting young auteurs, with a clear and developed cinematic vision. 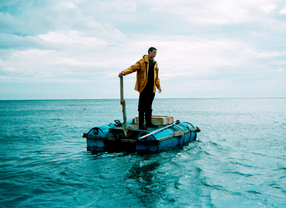 Paul has drawn on the stories of the sea from his childhood in a Scottish fishing village for this atmospheric and affecting tale of the aftermath of a fishing disaster in a small Scottish community. Polly Stokes is a producer with a keen understanding of storytelling and the power of the moving image, which comes in part from her time spent working at the lauded theatre company, Complicite. 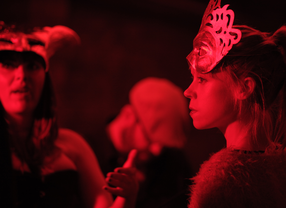 As a freelance producer and student, Polly has produced five accomplished shorts to date, each with a distinctive visual identity and fluency. Recently, Polly has gained experience in production roles on features including Berberian Sound Studio and Richard Ayoade’s The Double. Polly currently works as a Development Editor at Film4. For writers Colin Carberry and Glenn Patterson, the story of Terry Hooley’s life – the Belfast folk hero behind the Good Vibrations record shop and label – was many years in the making. Ten years before Hooley read the duo’s first draft, they were sharing a drink with him and hearing first-hand the stories which would later become the film’s source material. In their debut feature, Colin and Glenn manage to portray with wit, energy and thoughtfulness the experiences of Hooley as he lived through the darkness of the Troubles in Belfast, and in doing so they have established themselves as two of Britain’s most outstanding emerging screenwriting talents. Glenn Patterson is the author of eight novels and has written plays for Radio 3 and Radio 4. In recent months, Kelly has been making headlines as the hired screenwriter for the upcoming adaptation of E. L. James’ literary sensation, Fifty Shades of Grey. Kelly’s success is the product of a determined and unconventional route to her debut feature, passing variously through life as an actor, video rental shop worker and television writer and executive producer. 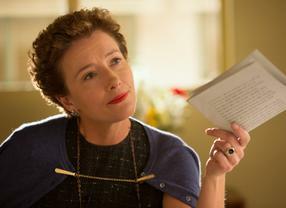 With Saving Mr. Banks, Kelly has brought to being a script which has been lauded by fellow writers and filmmakers as near perfect. With various projects in the pipeline, Kelly is one of Britain’s most exciting young writing talents. Born in Aberdeenshire in 1974, Scott Graham announced his entry into the industry with his 2007 short film, also called Shell. The idea for that short came to Scott on the road, at a time when he was driving regularly between northern Scotland and Glasgow, where he is now based. Before shooting his debut feature, Scott had made three short films and spent a total of 15 days on set. That Scott’s resulting debut is a complex, moving and mature piece of filmmaking is testament to his immense talent as a skilled and thoughtful storyteller with the ability to bring his writing to the screen with great cinematic craftsmanship. The Award recognises a special achievement by a Brit in their first feature film and encourages the most promising new talent in the film industry. BAFTA/Richard KendalPaddy Considine and Diarmid ScrimshawThe award was introduced in 1998 when it was known as the Carl Foreman Award, and was run in conjunction with the Williams-Jones Foundation. 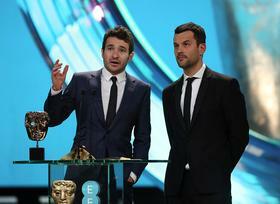 In 2010 the Award became known as Outstanding Debut by a British Writer, Director or Producer. Born in Chicago, Carl Foreman made his mark in Hollywood with such notable screenplays as Champion (1949), which established Kirk Douglas as a major star, and The Men (1950), which launched the career of Marlon Brando. During the filming of High Noon (1952), for which he not only produced but also wrote the Oscar-nominated screenplay, Carl was summoned to appear before the infamous House Un-American Activities Committee. BAFTA/ Steve ButlerBart Layton and Dimitri Doganis Refusing to “name names,” he was blacklisted and forced to move to Britain to further his career. In 1957 he won an Oscar with Michael Wilson for their screenplay of Bridge On The River Kwai. Carl went on to produce, write and direct films, including The Mouse That Roared (1959), Guns Of Navarone (1961), The Victors (1963), Born Free (1966) and Young Winston (1972). In 1976, he was honoured by his adoptive country with a CBE – rare for an American.